As a buyer, how many ways can I find equipment? 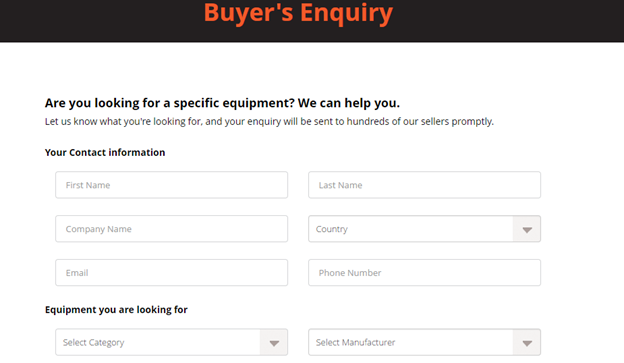 To find equipment quickly by a category or keyword, you need toselect a category or enter a keyword at “Find your equipment” in Homepage. Or you can click on the “I buy equipment” button here for a specific equipment in Homepage, and enter all required fields for your equipment.